Situated in Kuwait, this luxury hotel is within 3 miles (5 km) of Kuwait National Stadium, Ministries Complex and Liberation Tower. Kuwait National Assembly Building and Souk Al Mubarakiya are also within 3 miles (5 km). 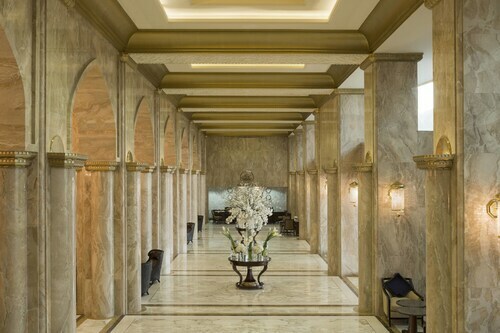 Located in the heart of Kuwait, this luxury hotel is within 1 mile (2 km) of Kuwait National Assembly Building, Ministries Complex and National Museum of Kuwait. Liberation Tower and Souk Al Mubarakiya are also within 2 miles (3 km). 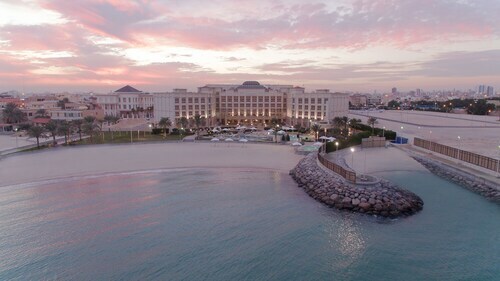 This Messilah hotel is on the beach, 2.4 mi (3.9 km) from Arabella Mall, and within 6 mi (10 km) of Marina Bay Beach and Al Fanar Mall. Sahara Club and Fintas Park are also within 9 miles (15 km). Located in the heart of Kuwait, this hotel is within 1 mile (2 km) of Kuwait National Assembly Building, Ministries Complex and Liberation Tower. National Museum of Kuwait and Souk Al Mubarakiya are also within 2 miles (3 km). 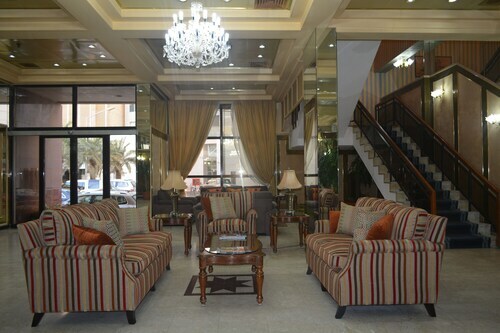 Situated near the airport, this hotel is within 2 mi (3 km) of Souq Sharq Mall, Grand Mosque and Souk Al Mubarakiya. Liberation Tower and The Avenues Mall are also within 9 mi (15 km). Located in the heart of Kuwait, this hotel is within a 15-minute walk of Kuwait National Assembly Building, National Museum of Kuwait and Liberation Tower. Ministries Complex and Souk Al Mubarakiya are also within 1 mile (2 km). 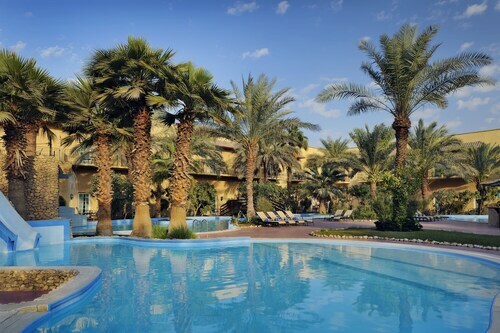 Situated by the sea, this aparthotel is within 3 miles (5 km) of Aqua Park, Kuwait Towers and Souq Sharq Mall. Souk Al Mubarakiya and Liberation Tower are also within 3 miles (5 km). 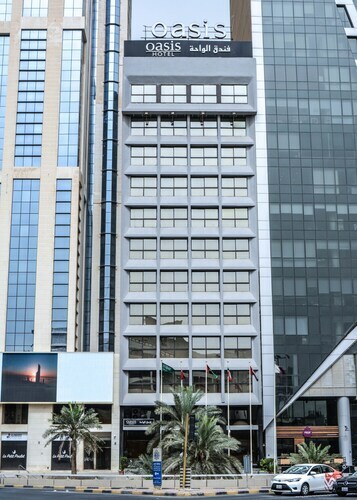 Situated in the business district, this hotel is within a 10-minute walk of Souk Al Mubarakiya and Grand Mosque. Seif Palace and Liberation Tower are also within 15 minutes. 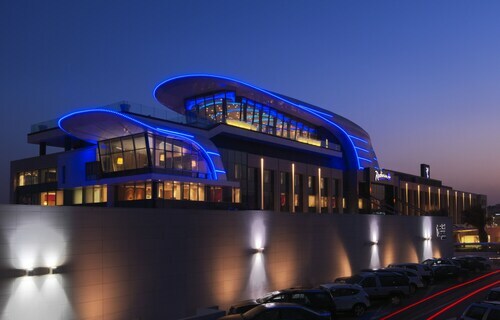 Nestled on the beach, this Salmiya hotel is within 3 mi (5 km) of Arabella Mall, Al Fanar Mall and Olympia Mall. Marina Bay Beach and Marina Mall are also within 6 miles (10 km). 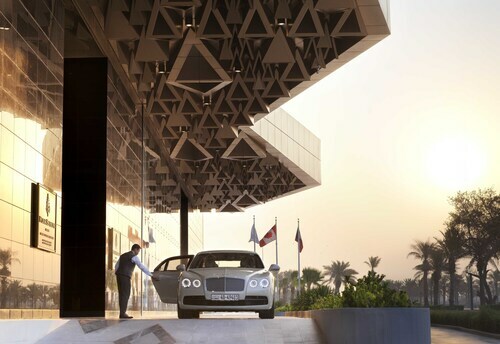 Situated on the boardwalk, this luxury hotel is within 1 mi (2 km) of Al Kout Mall and Fahaheel Park. Kuwait Magic Mall and Fintas Park are also within 12 mi (20 km). So, you're considering travelling to Kuwait City? If you want to find accommodation that's located near the sights, you can enter your holiday dates and then use the filters beside your hotel search results to find somewhere to stay near the area's attractions such as The Avenues Mall. 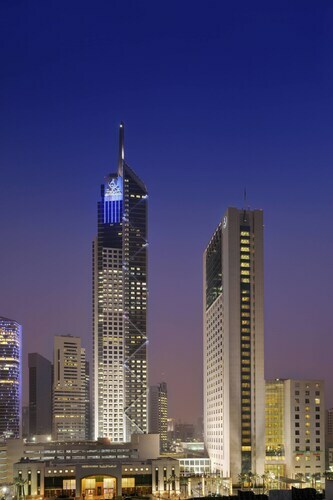 You can choose among 98 Kuwait City hotels and accommodation options to find a place you'd like to stay. 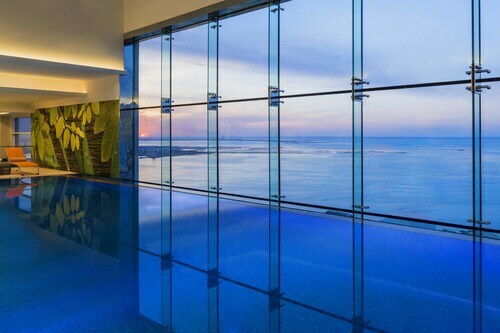 When you're deciding where to stay in Kuwait City, you'll be able to quickly and easily search ebookers for hotels offering services such as high-speed Internet, a swimming pool or free airport transport. You can use the filters to narrow down your search for a hotel, so you can get the services that are important to you, such as an in-room kitchen or air conditioning. When making plans for your trip to Kuwait City, you can also use ebookers to look for a convenient flight into Kuwait City (KWI-Kuwait Intl.) Airport. You can narrow down your search by number of stops, airline or time of departure to find the one that'll work best for you. When is the Best Time to Explore Kuwait City? If you're wondering when is the best time of year to visit Kuwait City, you may find this information about seasonal weather useful when you are planning your trip. The warmest months in Kuwait City are typically August and July, whereas the coldest months are usually January and December. The months with the most rain are January and November, whereas September and March have the least. From January to March, the average daytime temperature is 29°C and at night it is 8°C. Seasonal average rainfall is 38 mm. 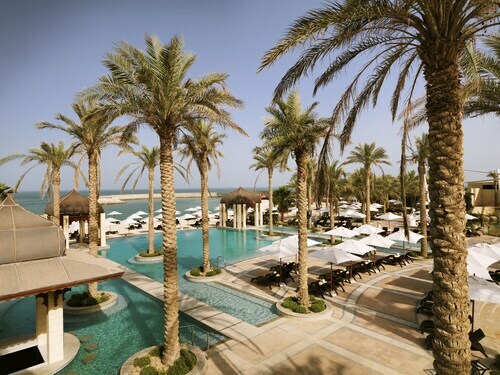 If you visit between April and June, you can expect an average temp of 45°C during the day and 16°C at night. Average rainfall during this season is 15 mm. The daytime average temp from July to September is 45°C and the nighttime average is 23°C. Average precipitation for this season is 0 mm. Between October and December, the average temp during the day is 39°C and 8°C at night. Seasonal average rain is 39 mm. Average annual rainfall in Kuwait City is 92 mm. My only observation is a general one about hotels these days. Since when were guests so disrespected that payment has to be made in advance. Since when did we become so lacking in trustworthiness tat we can't get hotel services charged. When I checked into this hotel I offered my credit card to secure any charges. I was told they didn't need it. Then I ordere room service. Half way through the meal they were on the phone wanting to be paid. I put the phone down. I'm trying to eat... Later two staff members came to the room to obtain payment. It was less than £20. Just inconvenient and a little disrespectful in my view. What ever happened to pay when you leave??? Amazing hotel clean convenient and definitely recommend all to stay. Je suis allee pour 2 jours au Koweït, l'hôtel se trouve juste à côté des tours du Koweït et du souk, il était confortable et propre. Merci à JOJO qui était très gentil. Je le recommande. 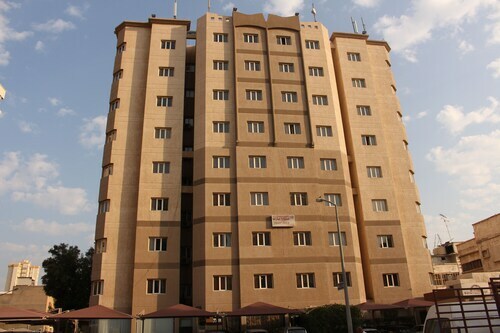 Our Family are working in Kuwait and we stayed at this Hotel which was the most convenient. Very comfortable and breakfast awesome which our Family joined us for. Staff were the best, polite and wanting to help. 3 years ago by john D.
I would recommend this hotel for both leisure and business. 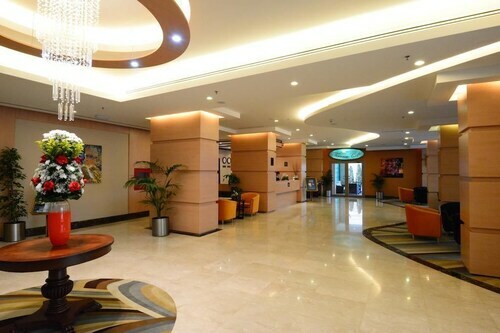 This is a very comfortable hotel with very good buffets, and friendly staff. It has a lovely swimming pool set in a pretty garden. Unfortunately it's not much use because the last two times I've stayed the pool has been either closed or under renovation and empty.. Extremely irritating as I like to have a swim after a hot and dusty day working. Talking of working... don't try to do this in your room as the lighting is utterly abysmal. Low wattage bulbs spread around the room ensure that it is mostly dark and any work has to be done in the bathroom ! There was a nasty smell coming from the drains in the bathroom however, so that wasn't really such a good place to try to work. Outside there's a pretty grim smell coming from somewhere outside the hotel boundaries and there's nowhere to walk around as it's all in an industrial zone.